Posted On October 18, 2016 by &filed under Legal Articles. There are few steps that lie ahead following the Rajya Sabha’s nod to the Constitution Amendment Bill. Changes made to the bill in Rajya Sabha will have to be approved again by the Lok Sabha (either in a special session, or the winter session). The Bill needs to be ratified by a majority of the states (15/29). Following this, it will be sent to the President. 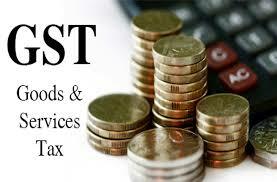 After Presidential assent, a GST Council compromising representatives from the states and centre will be set up. The council will help codify central GST and State GST laws which would be passed by Parliament and State assemblies. GST Network, the IT backbone of GST, to facilitate online registration, tax payment and return filing would be introduced. GST Network will create an online portal. The portal will begin migrating data on existing taxpayers under the current VAT/excise/service tax regimes. All businesses will be given a GST identification number, a 15- digit code comprising their State code and 10 characters PAN. The GST Network has already validated the PAN of 58 lakhs businesses from the tax department. GST will replace State taxes, Value Added Tax, Central Excise Duty, including additional excise duties, excise duty under medicinal and toilet preparations (Excise Duties) Act, 1955. Octroi and Entry Tax, Service tax. Taxes on lottery, betting and gambling, Central Sales Tax levied by the Centre and collected by the States. State cesses and surcharges Central surcharges and cesses relating to supply of goods and services. Luxury Tax, Special Additional and Duty of Customs. Entertainment tax, other than the tax levied by the local bodies. It addresses a serious impediment to our competitiveness. Without the GST, there are multiple points of taxation and multiple jurisdictions. We also have an imperfect system of offsetting credits on taxes paid on inputs, leading to higher costs. Further there is cascading of taxes- that is tax on tax. Interstate commerce has been hampered due to dead weight burden on Central sales tax and entry tax, which have no offsets. All this will go once the GST is in place. It will enhance the ease of doing business, and make our producers more competitive against imports. Directly: the resources of poorest state: U.P., Bihar, M.P., who happens to be large consumers, will increase substantially. The adoption of the GST is an iconic example of what PM Narendra Modi has called “cooperative federalism”. It represents a national consensus; an outcome of grand bargain stuck together by 29 States and 7 Union Territories with the Central Government. The States agreed to give up their right to impose sales tax on goods (VAT), and the centre gave up its right to impose excise and service tax. In exchange they will each get a share of unified GST collected nationally. The anticipated additional gains in efficiency, competitiveness and overall tax collections are what drove this bargain. GST will facilitate ‘Make in India’ by making one India. Extensive nature of countervailing duty exemptions that favours import over domestic production. Once the GST is in its place, it means a unified un-fragmented national market for goods and services, accessible to the smallest entrepreneur. Companies need not maintain stocks depots to avoid paying interstate taxes. This will free up some capital. All this will add to demand, and also efficiency. The National Council for Applied Economic Research and others have estimated that national GDP growth can go up by one percentage point on a sustained basis. The first relates to the self- policing incentives inherent to a value added tax. To claim input tax credit, each dealer has an incentive to request documentation from the dealer behind him in value added/ tax chain. The second relates to the dual monitoring structure of the GST, one by State and one by Centre. Because the structure of claiming input tax credit is linked to having proof of taxes paid at an earlier stage in the value chain, this creates interlocking incentives for compliance between vendor and customer. No more questions from a vendor “would you like that with receipt or without receipt?” because of this inherent incentive, the total taxes paid, and hence collected, may go up significantly. This provides buoyancy to the GST. In fact a significant part of the black economy will enter the tax-paid economy. First is the question of uniform GST rates. An early report of finance minister from 2003 mentioned a rate of 12% but over the years this rate drifted higher and now is 18%. The empowered committee of finance minister uses a concept called “Revenue Neutral Rate”. It is that uniform rate which when applied will leave all states with the same revenue as before. So no state should lose out by signing up to the GST. But this approach is faulty, since unless we try it for a year or more we won’t be able to gauge the buoyancy of the GST. In trying to assuage the fears of the states, the calculation of the RNR has been loaded by every possible existing rate. This has caused the RNR to steadily escalate upward. But approach is to keep the GST rate low initially and promise to fully reimburse loosing state by the end of the year. The report urged, GST be comprehensive, in its coverage, that exemptions from the GST be limited to a few commodities that catered to clear social benefits and that most commodities be taxed at the standard rate. Another issue is that GST is an indirect tax, by its nature, indirect tax is regressive because they affect the poor more than the rich. India’s ratio of indirect to direct tax collection is 65:35, which is exactly the opposite of the norm in most developed countries. India’s ratio of direct tax to GDP is one of the lowest in the world and is badly needs to expand the direct tax net. Unless s rate cap I adopted, the GST rate could easily drift higher further hurting India’s income inequality. It is far better to start and allow the process of endogenous change to unfold over time than to wait Gogot-like for the best time and best design before it is introduced. GST-type taxes in large, federal system are either overly centralized, depriving the sub-federal levels of fiscal autonomy. (Australia, Germany, Austria.) Where there is dual structure they are either administered independently creating too many differences in tax bases and rates that weaken compliance and make inter-state transactions difficult to tax. ( Brazil, Russia, Argentina). Where administered with a modicum of coordination which minimizes these disadvantages ( Canada and India), but does not do away with. Exceptions in the form of permissible additional excise taxes on special good ( Petroleum and Tobacco) for centre, a petroleum and alcohol for states will provide the requisite fiscal autonomy to states. Finally the issue of State’s autonomy. India will be uniquely large democracy that adopts a nationwide GST with virtually no taxing powers to state. In a situation where state want to undertake special spending programmes to respond to State specific situation, such as disaster? The GST is obviously not a panacea for all ills of India’s economy it is nevertheless a revolutionary and long pending reform. It promises economic growth and jobs, better efficiency and ease of doing business, and higher tax collection.